Review: Do You Trade Binary Events? Our previous Stock Exchange asked the question: Do You Trade Binary Events? 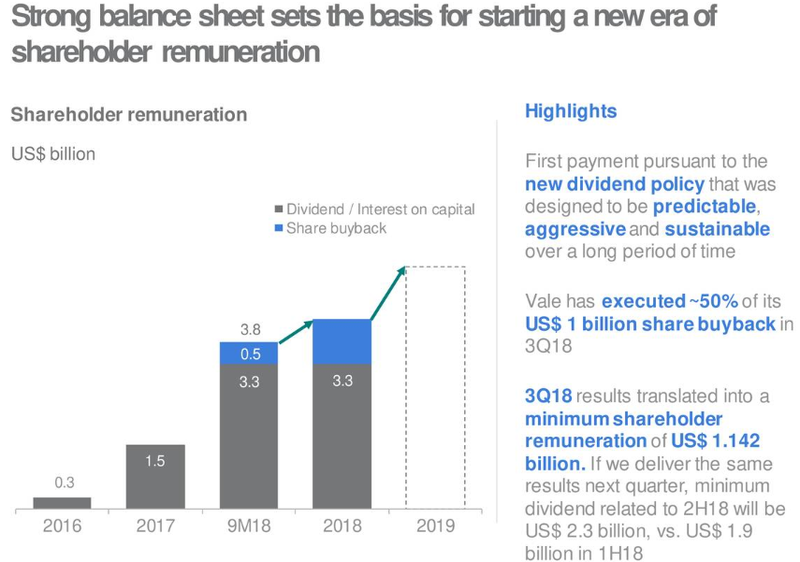 We noted that binary events bring opportunities for attractive pay-offs, but they often include significant downside risks too. 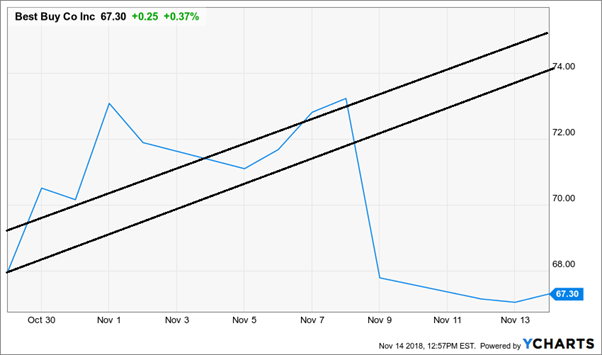 Whether drug trials and/or FDA panels, legal decisions, elections, earnings announcements, or other similar themes, traders should weigh the risks versus rewards. This Week: Despite Volatility, Vale and Brazil Have More Upside. The market remains volatile, and we may still retest the 2018 lows. However, despite the volatility (and perhaps because of the volatility) attractive opportunities continue to exist. 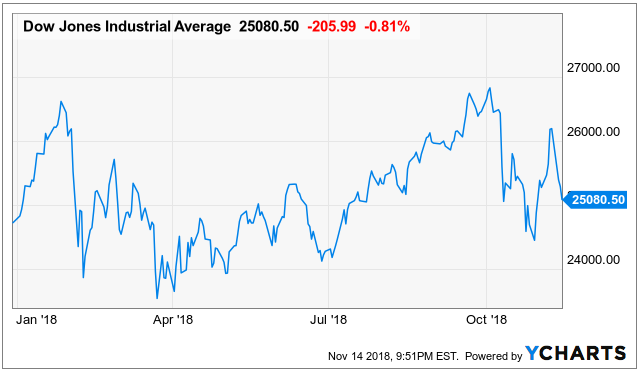 As a backdrop, the Dow is currently 7% lower than it was in October, but it still has over 6% to fall before it retests the technical lows from earlier this year. 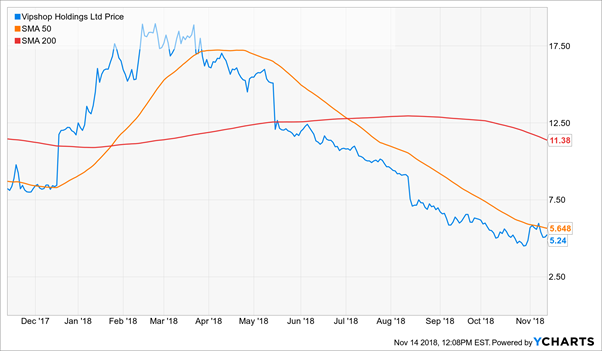 And some markets, such as Brazil, have been even more volatile, as shown in the following chart (our trading models will have more to say about Brazil and Brazil-based Vale later in this report). Buying near technical support levels, as long as we don’t break through key resistance, has been a decent strategy in recent years. But are market conditions finally changing? 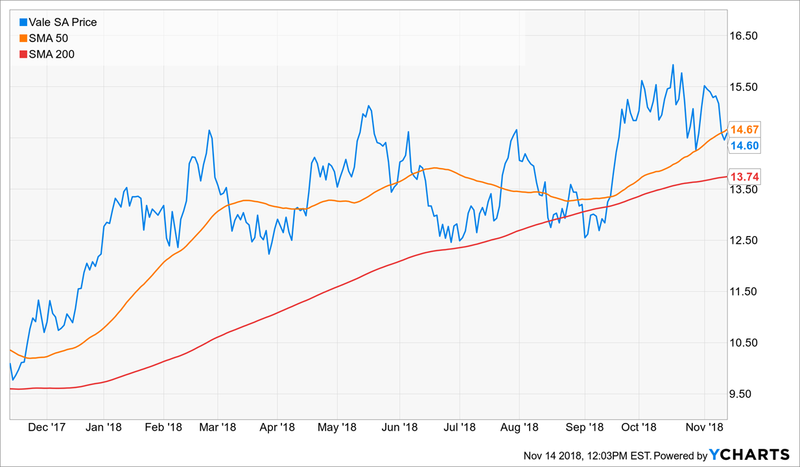 For example, the extended dovish stance of the Fed is turning more hawkish, and a quick look through your news feed will show there is no shortage of naysayers and frightened market participants. 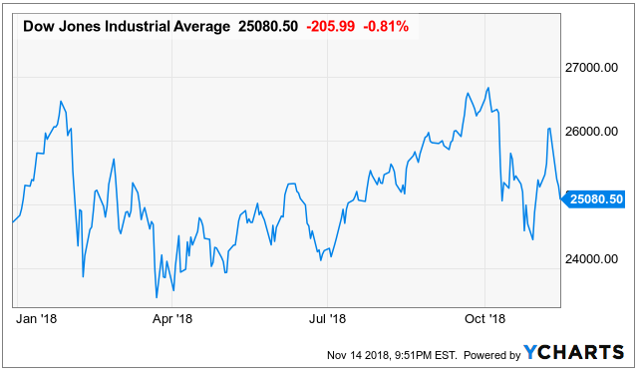 According to a recent article by CNBC’s Rebecca Ungarino (@ungarino):“Buy the dip” probably won’t be the winning strategy it’s been for years. 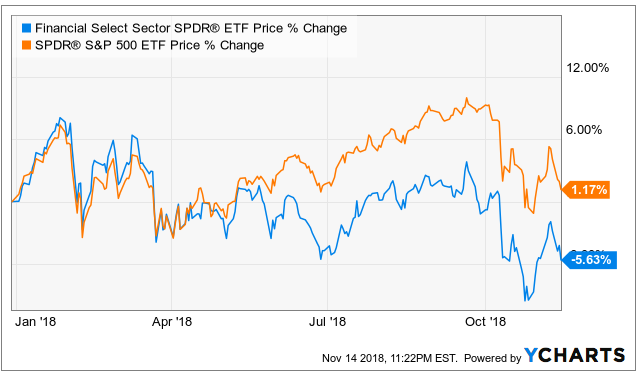 “Buy the dip.”… It’s become a tried-and-true tactic on Wall Street, an approach equity investors could rely on since the financial crisis as stocks have climbed for the better part of nine years. 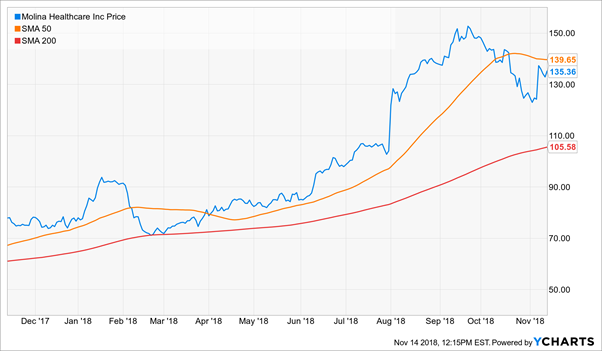 But some say that’s no longer the viable strategy it once was as the market environment shifts and the Federal Reserve remains on its path to normalizing monetary policy. And it’s not just “buy the dip” that is being called into question. Rather, market rotation may be underway in a major way. 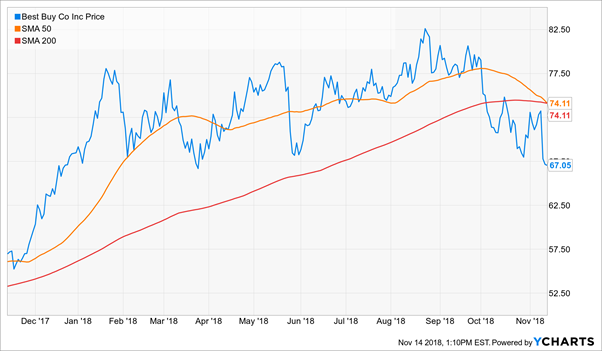 For example, not only are FANG stocks falling hard over the last month, but quality value stocks are getting attention from some big name investors. 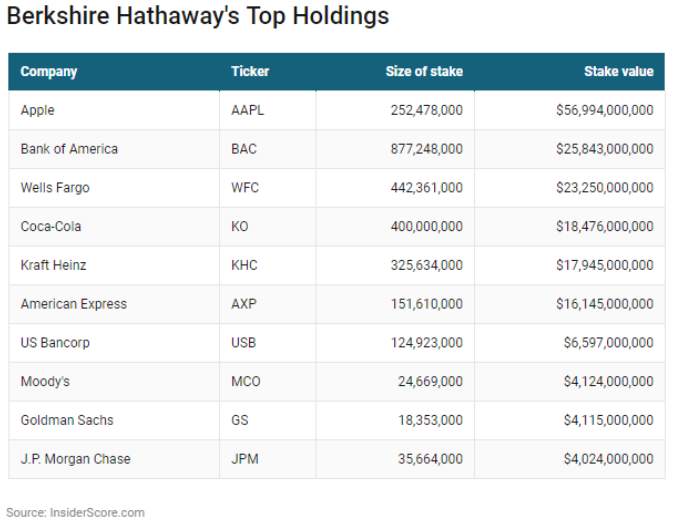 For instance, Warren Buffett has been doing some buying, and over 50% of his Berkshire Hathaway holdings are now financials, a sector that had been under performing the market. Despite what may be the beginning of a major market rotation, our dip-buying model, Holmes, has continued to perform well. Further, we’ll have more to say about our sector rotation model, Oscar, later in this report. Holmes: Dip-buying is absolutely not dead. I am a dip-buyer, and my strategy continues to work quite well. 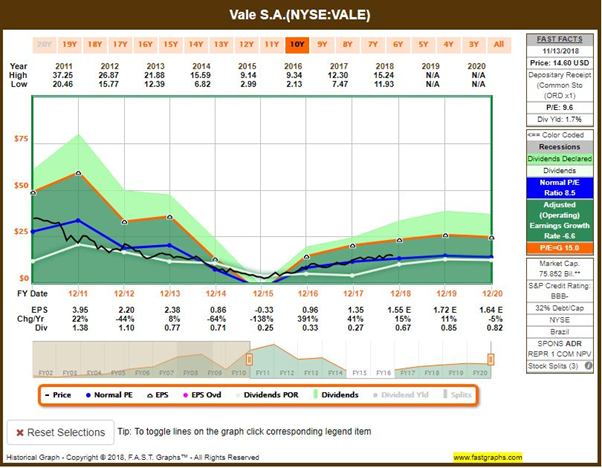 And as an example, this week I purchased Vale (VALE), on the dip, as you can see in the following chart. Blue Harbinger: I do see a fair amount of volatility in that stock, Holmes. But how do you feel about the fundamentals? Specifically, Vale is a Brazil-based company that produces and exports iron ore, pellets, manganese, and iron alloys, which are raw materials needed for steelmaking. Do you like this sector? Are you worried about the impacts of the trade wars? From a company-specific fundamental standpoint, what is it about Value that you like? Holmes: I like the technical setup on the trade. I typically hold for about 6 weeks, and Vale is attractive. BH: The company looks strong from a fundamentals standpoint. 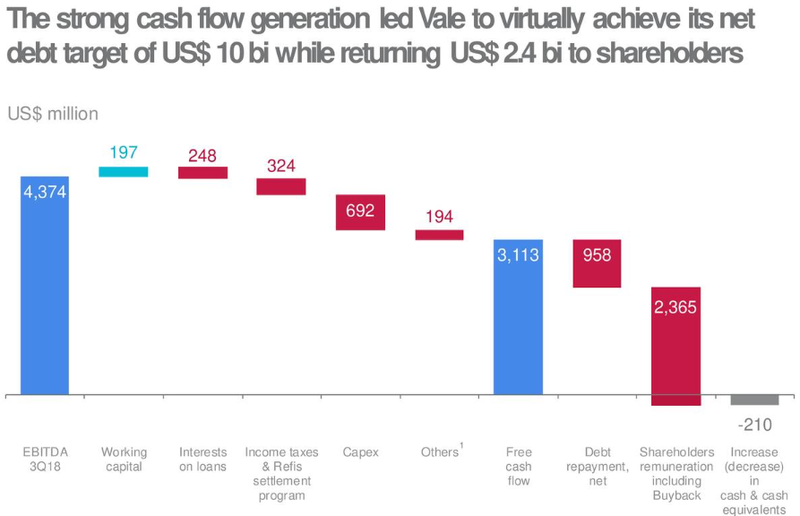 Specifically, it’s generating strong cash flow, and it has continued to trim debt thereby strengthening the balance sheet, as shown in these next graphics. Also, here is a look at the Fast Graph. Holmes: It’s nice to know that fundamentals aren’t at odds with my technical perspective. BH: Well, the company is headquartered in Brazil. I take it you like that country allocation, Holmes? As we’ll see later in this report, Oscar has a Brazil ETF ranked at the top of his weekly rankings this week, so I suppose you are in good company in that sense too. 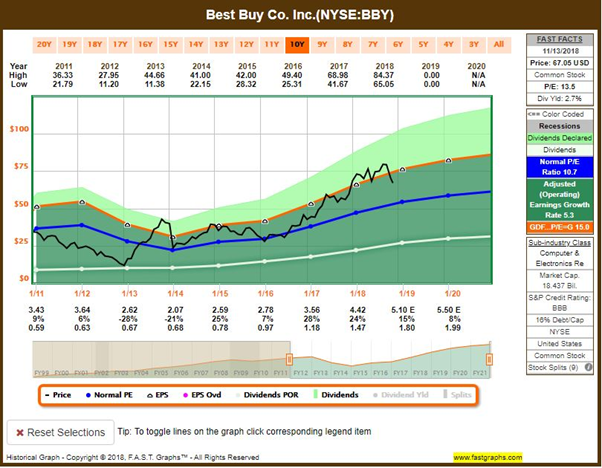 RoadRunner: This week I purchased Best Buy (BBY). As you know, I like to buy stocks in the lower end of a rising channel. BH: That’s interesting, Road Runner. Do you recall from our earlier discussion in this article that dip-buying may be dead (even if you are trying to do it in the lower-end of a rising channel)? Specifically, it’s been a great strategy for the last 9 years since the financial crisis, since everything was just going up anyway (thanks in large part to the US Fed’s dovish monetary policies). RR: That’s a nice story Blue, but didn’t you read Jeff’s recent article titled The Costly Craving for Reason. There is some good perspective in that one that you might want to consider. BH: Yes, I read it. And I liked it. But let me ask you, have you considered the fundamentals for Best Buy? Aren’t you worried those retail stores are quickly going extinct because people shop online now? RR: I’m not worried. I am a computer model, not a human. And I typically only hold for 4 weeks, I don’t believe the business will go extinct in the next 4 weeks. Hasn’t Sears been “going bankrupt” for about 10 years now. 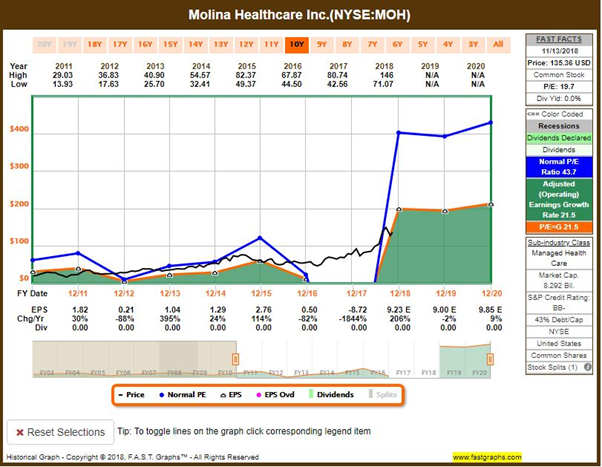 Athena: This week I sold the Molina Healthcare (MOH) shares that I bought last week. And I sold them at a profit. 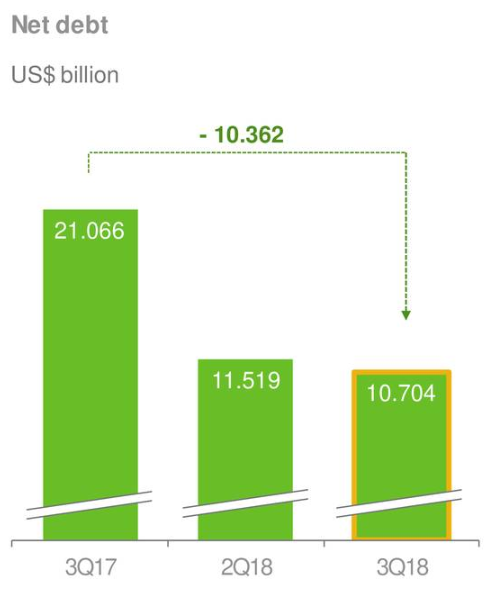 BH: That’s not bad considering our challenging market volatility as of late. Remind us of your process, Athena. Athena: I am a best ideas portfolio. Did you ever play “King of the Mountain” as a kid? My selection process is similar to that. I rank my 10 best stocks, and they stay on the top of the mountain until someone else comes along (i.e. another stock) and knocks the existing stocks off the mountain. BH: Interesting. So what are your top 10 ranked stocks? Athena: Yeah, right. I am not giving those away to you so easily. But I will share my “Contenders” list. These are the names that are ranked highly, but haven’t been elevated to an actual portfolio holding–yet. Here is the list. BH: Interesting, thanks for sharing. I see Molina has been demoted from a portfolio holding to a “contender” which makes perfect sense, considering you just sold it. Here is a look at the Fast Graph if you’re interested in some fundamental data. Felix: Nice list, Athena. I have a list to share too. This week I ran the Dow 30 through my model, and the top 20 are ranked below. BH: Nice to see Merck ranked at the top, considering Athena seems to like that one too. Felix: I am a momentum trader, but I hold my positions for longer than the other traders, around 66 weeks on average. 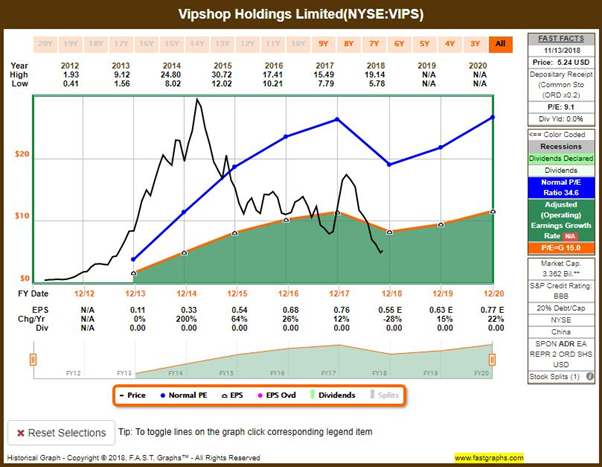 And by the way, this week I purchased Vipshop Holdings (VIPS). BH: That’s good info, Felix–thanks for sharing. And regarding VIPS, that’s an online retailer in China. That’s a decent business if the China market would just stop selling off so dramatically. It seems that US “trade wars” are not helping the situation lately, but Chinese stocks can be volatile, and if/when VIPS snaps back, it could be a violent snapback. 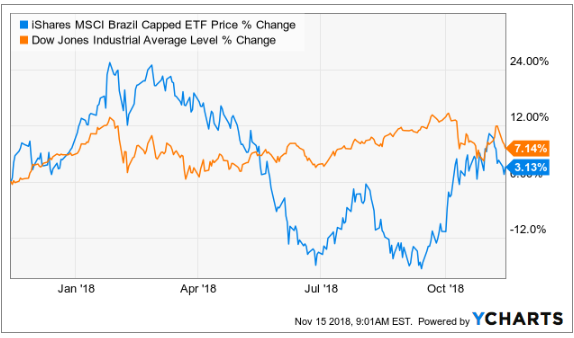 BH: I see you have that Brazilian ETF (EWZ) ranked at the top of your list. I suppose Holmes, the dip-buyer, would appreciate that considering he bought a Brazilian stock this week (VALE). I also appreciate that you are a momentum trader, you typically hold for about 6 weeks, and you exit by rotating into a new sector. Thanks for sharing the list. The market has been volatile as “a changing of the economic guards” seems to be having an impact. 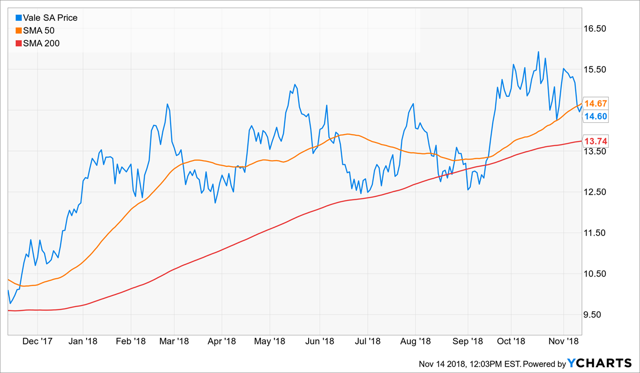 Specifically, the US Federal Reserve is changing to a more hawkish stance, and that seems to be having an impact on what is working in the market. For example, dip-buying may perform differently going forward. We structure our trading programs using a variety of trading models to diversify away some of the uncontrollable market dynamics and to allow us to perform well across varying market conditions. For example, two of our models have selected Brazil-based opportunities this week (EWZ and VALE), but our trading program risks are balanced out with the generally complimentary trades of our other models.